People contact Manchester Mortgages either by phone or by completing and sending a contact request form from our Web page. When you ring Manchester Mortgages the phone is answered by an experienced mortgage adviser. The conversation will be very informal with the adviser discussing your circumstances & requirements – ie. you may be a first time buyer, or looking to move home, or to re-mortgage your existing property to obtain a more competitive interest rate or wishing to capital raise monies to consolidate existing credit cards or loans etc. The adviser will note your circumstances, ie your name, date of birth, if employed or self employed, request your gross salary / bonuses/ commissions etc or income declared to HMRC for the last two tax years, ask if you have any children and their ages and if you receive any additional benefits. It will also be helpful if you can advise of any credit card balances outstanding along with any payments to personal loans or car leases. Obtaining the above information from the initial phone contact enables Manchester Mortgages to establish if your requirements are feasible and to research the whole of the market so that an indication of the maximum mortgage available can be obtained along with an indication of monthly mortgage payments. Usually within 24 hours of the first phone call Manchester Mortgages will phone you back to advise and discuss with you their findings and recommendations. If you are happy with the outcome of our research we will then look to obtain a Decision in Principle with the recommended lender to ensure that you are in a position to obtain a mortgage. 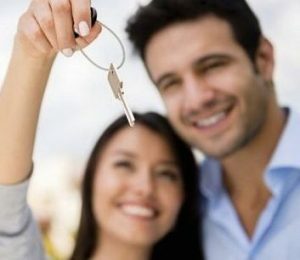 We like to meet all our clients on a face to face basis and therefore once you have passed the Decision in Principle and wish to proceed with the mortgage application we will arrange to meet you on a mutually convenient day and time either at our offices or at your home or place of work. At the meeting the mortgage rates / schemes available will be fully discussed and explained and only once you fully understand the mortgage being taken will the mortgage application be submitted. You will be provided with a fully Financial Conduct Authority ( FCA ) approved mortgage illustration for your chosen mortgage. You will be kept up to date on the progress of your mortgage application from start to finish by Manchester Mortgages. If you choose to forward us a contact form from our Manchester Mortgages Web page we will look to contact you within 24 hours of receiving your request. The format will be as above. Please contact us on 0161 706 0242 or forward the contact form for a friendly informal confidential discussion regarding your personal mortgage requirements.